Here we will post links to important data for our work, and also our own analyses. Total Carbon Footprints for Greater Manchester and its authorities – work done for “Manchester is My Planet” – an initiative of the Association of Greater Manchester Authorities. by Mike Berners-Lee , Warren Hatter, Claire Hoolohan, of Small World Consulting The Total Carbon Footprint of Greater Manchester: Estimates of the Greenhouse Gas Emissions from Consumption by Greater Manchester Residents and Industries. http://manchesterismyplanet.com/strategyandresearch – scroll down for the pie chart and link to the pdf of the report. .
Household wellbeing survey – not so good in Manchester. 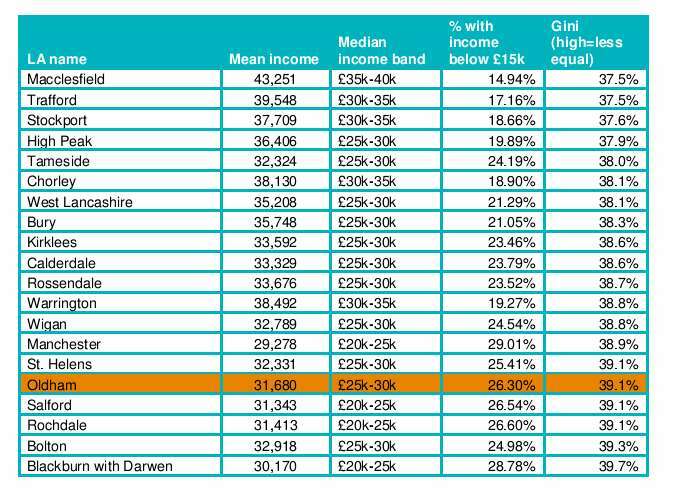 “The proportion of people rating their life satisfaction as low or very low was 29.1 per cent in Blackpool, 28.9 per cent in Blackburn with Darwen, followed by 27.2 per cent both in Greater Manchester and Merseyside Met County. This is in contrast with Cheshire East, where only 18.8 per cent of people rated their life satisfaction as low or very low (indicating higher life satisfaction), and Cumbria and Warrington where 20.9 per cent of people rated their life satisfaction as low or very low. The average rating for life satisfaction was 7.1 in Blackburn with Darwen and Blackpool, compared with 7.7 in Cumbria and 7.6 in Cheshire East. A similar pattern was observed for the ‘worthwhile’ question, with 24.4 per cent of people in Blackpool, 24.3 per cent in Blackburn with Darwen, 22.8 per cent in Great Manchester, and 21.0 per cent in Merseyside Met County giving a low or very low rating. By contrast, only 14.2 per cent of people in Warrington, 16.6 per cent in Cheshire East and 17.6 per cent in Cumbria gave a low or very low rating to the ‘worthwhile’ question. More evidence that a growth and trickle down approach isn’t delivering enhanced wellbeing (and why would it?) – see http://www.ons.gov.uk/ons/dcp171766_272294.pdf section 6 for the source. 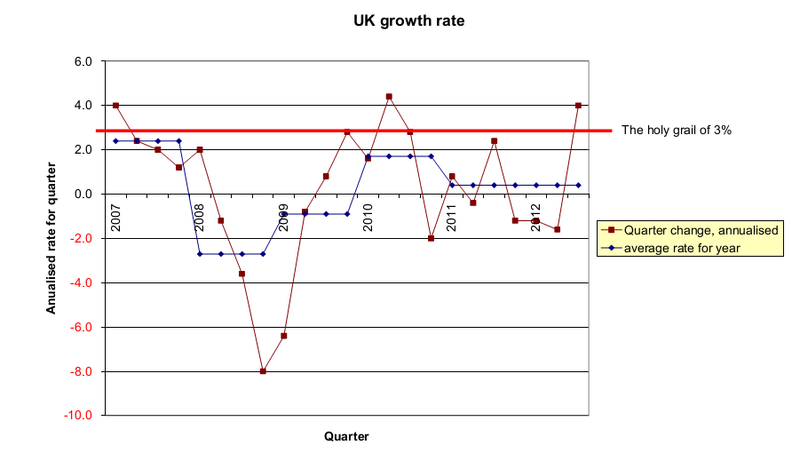 UK Growth rate by Quarter. The progress of the recessions and recovery: Monitor the progress of the 2008-9 recession and recovery relative to earlier recessions – click the image to go to NIER site. Many thanks Richard, it looks useful. Maybe you’d like to write us a short introduction to it and we’ll post it here. Added now Richard – maybe you could give us some publicity too.